Our optometrist in Cedar Park will help you find the best fit for your specific needs and explain how different lenses and frames will impact your vision. They will help you narrow down your choices so you can find the look, fit and functionality you want from your eyewear. 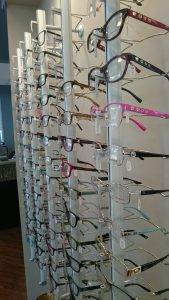 We carry a large variety of designer frames for both eyeglasses and sunglasses.